Nightingale Photography took still pictures and a video of our daughter’s wedding, and we are thrilled with the results. Christina helped us plan what pictures we wanted to be sure to get and had many wonderful suggestions so that every special moment would be captured. She made sure that everything from getting ready for the … Read more "Arthur B." Christina took amazing picture of my little twin angels. Evertime I look at the pictures she has taken I feel so happy and greatfull because she was able to capture their personality on film. That is not easy but she did such a superb job. I highly recommend her and its my hope to have … Read more "angela L."
CHRISTINA!!! These are AMAZING! I can hardly contain myself in waiting for the rest of the photographs. I can really see your artful eye in just these few preview photos from my wedding. And that’s exactly what I was looking for in a photographer. Thank you SO much for being so damn awesome. You are, … Read more "Nick T."
Christina was amazing! I originally decided to call her regarding and engagement session but after speaking with her we changed it to a proposal session and it was perfect! She made all the planning pain free and super simple. The pictures came out beautiful and my fiance loves them. I’d recommend her services to anyone … Read more "Allan B." The best decision I made regarding my wedding was finding Christina. I knew from browsing her photos that she was talented. But let’s face it. Many photographers have great photos and it’s really hard to choose. But look carefully and there is a beautiful artistry to Christina’s photos. She was the perfect combination of romantic, … Read more "ck k."
Christina!!!!! These photos are so beautiful! Even more amazing than I imagined. Thank you so much for capturing this special but fleeting day. It was so wonderful to work with you and I know we will have many more projects in the future 🙂 Until then take care! We are so so thrilled!!! A million … Read more "Richard S."
Christina stepped in when our original newborn photographer cancelled. Even though searching for a replacement was stressful, i’m so thankful we had the opportunity to work with Christina. She answered emails promptly and showed up exactly on time with no drama or nonsense. She was patient with this first-time mom and our newborn and took … Read more "J. H."
Christina is the most amazing photographer we have ever met. Like others have mentioned, we are a family that hates to pose for pictures and I am not photogenic. It just takes the right eye and right photographer. She is so talented and her personality makes it so easy and natural. We do our family … Read more "Heidi K."
I can’t say enough about Christina! She is absolutely amazing at what she does, a true artist, and a joy to have around on your special day! From the moment my husband and I met her, we knew she was the perfect person to capture our engagement and wedding day. Her bubbly personality makes you … Read more "Elyse I." For one who HATES to pose for pictures because they are never flattering, Christina put me totally at ease and got some fantastic shots! I couldn’t believe how amazing how the head shots turned out. 115 Likes on Facebook and counting on just one photo taken by Christina. Can’t thank her enough! If you haven’t … Read more "Jennifer G."
Christina was referred to me by a colleague and what a great recommendation it was! I hired Christina to help me capture my engagement (which was a technically challenging feat with a complicated venue, times, locations, etc.). Christina executed perfectly! At the engagement, I had both our families surprise my fiancé. She easily managed tons … Read more "Mason M."
Not sure what you’re waiting for– hire Christina today! I’ve worked with her over the past few years to do professional (and fun) headshots. She has a way of bringing out the best in you plus have fun during the process. Plus her eye to find the best lighting, background setting etc is always so … Read more "K B." Christina was the perfect photographer for my family portraits! My kids who are teens hate taking pictures but Christina has the knack to capture their personalities so their smiles are genuine. Her energy is amazing so our smiles dont look forced.We all been there where, your tired of smiling and lip start shaking. Not once … Read more "Lala R."
Christina was the perfect photographer for our recent elopement. Chris and I had interviewed Christina for a totally different type of wedding that we were planning so we already had a sense of her positive energy, type of photography and creativeness. So when we decided to elope we crossed our fingers and hoped that Christina … Read more "Andrea S."
After attending many a wedding, I knew I wanted a unique photographer for our big day. I was so sick of cheesy wedding photographers getting all up in everybody’s face only to wind up with run-of-the-mill, staged looking photos. However, I didn’t have any good recommendations for photographers so I started my search online. I … Read more "Arantxa A." My husband and I had such a great experience with Christina as our photographer! We found Christina through our wedding venue Wente Vineyards – she is listed on their preferred vendors list. The photos on her site are beautiful which is what initially caught our attention, and her enthusiasm, friendliness and accommodating nature sealed the … Read more "Nicole B." All the reviews of this photographer are great and justifiably so. She is simply the best. I’ve had the pleasure of knowing and working with her over a long period of time and have not only seen how her craft has developed, but the heart and spirit that goes into her photographs. She invests such … Read more "Carl A." Christina shot our engagement and wedding photos. Her perspective captures those candid moments we treasure! The photos look natural, and the editing is amazing! Highly, highly recommend. Her gallery speaks for itself so check it out! Right from the onset, our experience was great! I contacted Christina after my fiance and I saw her photos and were immediately certain we wanted her to take our engagement photos. Christina got back to me quickly and worked with the time frame I suggested, which was about a month and a half out. Christina … Read more "chris p."
Christina photographed our July 2015 wedding at Paradise Ridge winery, as well as our engagement photo shoot. We could not have been happier! Photographs were my #1 thing for the wedding, because after the wedding day is over, the photos are what you have to remember it by 🙂 I could not be happier with … Read more "Sarah Y." I just got our wedding photos back from Christina, the turn around time is less than 20 days, and I am talking about over five hundreds of beautiful photos. Working with Christina is really a pleasure, she basically lead us the whole photo shooting session, we don’t need to worry about a thing at all. … Read more "Kui L."
We heard great things about Christina from a friend and coworker and we could tell that she was the perfect photographer for us after our first meeting. We loved her work and equally important, we loved the great warm energy she radiated. We knew that her background as a photojournalist would capture our wedding in … Read more "Shoko Y." I know Christina and her fabulous work from the perspective of a co-vendor as well as client! She is a true professional as a vendor always producing excellent quality work. So obviously when it came to picking the photographer for our special day, Kori and me approached Christina as a friend and asked her to … Read more "Gomi K."
Stunning…Planning a wedding in 3 weeks can be a bit challenging and stressful to say the least. We had everything nailed until that day. Traffic=hmmm BAD…Bride & Groom=late…Cake=melted…. BUT…Christina=perfect and professional! She’s a gem and the moments she captures are indescribable. My husband planned our entire wedding. His most prized possession, if you will, was … Read more "Kori N."
Christina is very passionate and nice photographer. She is really good at giving direction which is super important in photo shooting! We felt a bit nervous before seeing her cuz we didn’t really know how to make good postures. However, she’s great personality and professionalism make us get into the photo shooting quickly and felt … Read more "Mingbo L."
From the moment I met Christina there was an instant connection. She is such a jewel and pleasure to work with. My husband and I interviewed a ton of photographers to shoot our engagement and wedding portraits and I must say that Christina is in a league of her own! We will be forever grateful … Read more "Qiava H."
ABSOLUTELY AMAZING! That is all I can say. Christina is sweet, professional, and just a pleasure to work with. I am so happy and proud of our photos. Please don’t go with any other photographer, invest in Christina, because after the wedding is over, all you have are your pictures and memories. I am so … Read more "Joce C."
Christina has done it again! She is truly a gifted photo journalist. She did an amazing job on our families 1st real professional photo shoot years ago when our girls were little and most recently we did a Mother daughter photo shoot in her studio. We are so impressed with the emotion she captured that … Read more "Natalie F."
I feel indebted to Christina. She is the most brilliant photographer. My husband and I chose her to do our wedding photography. We did an engagement session first, which helped us relax and learn how to be in front of a camera. Christina made us feel so at ease, and the photos from both the … Read more "Jessie H."
Our family has worked with Christina for the last year for family photos, photos of our toddlers, as well as professional head shots for myself. She was referred to us by our wedding photographer (who we love, but does not photograph families), and I am so thankful for the referral. Overall, Christina was great with … Read more "Micaela J." We were so lucky to have Christina take our maternity photos and newborn photos. We were looking for the perspective of very talented, experienced person to capture these once in a lifetime moments. Christina has a photo journalistic style and a great eye for composition that tells a compelling story. Her photos will last a … Read more "Hai N."
I CAN’T STOP SMILING! My husband and I just got our photos today from our wedding just a few weeks ago and we are over the moon about how beautifully they turned out. Christina really captured the full essence, everything we noticed about the location, the landscape, the light, the mood, the chemistry between my … Read more "M D."
Let me start off by saying I have OBSESSED with Christinas work for a few years now. When I finally set the date we knew she was a bit above our budget but I couldn’t book a photographer without at least asking if she was available. She was and I couldn’t be happier that we … Read more "Sophia G."
I don’t even know where to begin! For my husband and I, we mutually agreed that photography was the one element we didn’t want to skimp on and wanted the best of the best. So, needless to say, choosing Christina was one of the best decisions we made during the entire wedding process. We met … Read more "Meghan P."
Christina has the best camera manner ever! We have a severely autistic son and I had serious doubts that we’d get a decent shot of the family before he had a melt down. It was an overcast day, my blouse had a tear and my son refused to take his hands from his ears, but … Read more "Crisanta D."
Christina is AMAZING!!! I wanted to do family pictures when my son turned one, and my husband reluctantly went along with it. When the time came for the session, Christina made it so easy and fun. My son, being a normal one year old boy, wanted to move all over and do his own thing. … Read more "Nikki B." As a mom to two delightful and adorable children, I know how important it is to capture those fleeting moments of childhood. Trusting someone to do that for me is always challenging, but Christina has a gift that makes it truly an honor to be in front of her camera. By the time I get … Read more "Jennifer Z." Christina photographed our wedding in July 2014 and we couldn’t be happier with her beautiful photographs. The choregraphed pictures are stunning but she also captured so many candid, wonderful moments that were incredible as well. She is really an amazing photographer and, most importantly, is just such a pleasure to work with. Positive, warm and … Read more "Jacqueline M."
This review should have been written months ago! Christina with Nightingale Photography shot both my Engagement session back in March 2014 and Wedding in May 2014. The pictures she took are fabulous, which was no surprise – I feel that most professional photographers will do a good job. What was so special about working with … Read more "Tanvi A." A couple of years ago, I saw a friend’s engagement photo shoot by Christina and fell in love with her style. Then my friend posted her wedding photos and they were just stunning. When my husband and I got engaged, Christina was the first vendor we reached out to, even before we chose the venue. … Read more "Natalya B." I had the pleasure of working with Christina in boudoir session. I was one of those people who went from “I would never do that” to “I think I would like to try that.” What started out as an anniversary present for my husband quickly turned into the best gift I could have given myself. … Read more "JoAnna M."
Christina is THE BEST. She knows how to make you feel comfortable while being photographed and guides you through every moment. Mu husband hired her to take artist pictures of us (we’re both musicians) and the whole shoot was so much fun because she is a delight to work with! The best part though is … Read more "Lisa F."
Christina and Richard did the photography and videography for our wedding (and engagement photos) this past October at San Francisco city hall. All I can say is WOW. OBSESSED. My husband and I were so impressed with their professionalism and timeliness throughout the planning process. Our venue was a little complicated and had some pretty … Read more "Lauren T."
We absolutely LOVE Christina and her business Nightingale Photography and would recommend her to anyone without hesitation! She has been our photographer since 2009, capturing every important and most precious stage in our family’s journey. From our engagement, wedding, maternity, and son’s birth, six month and one year photos, she has given us timeless images … Read more "Camille L."
Christina is a wonderful photographer. We hired her to take family photos this Thanksgiving. We had 15 people (15!) at the shoot and she made everyone feel at ease. And the photos turned out beautifully. The lighting she was able to capture was especially great. We took the photos outside at a park and several … Read more "Heather B." Christina has taken my picture twice now- once just me and the second time with my family. The pictures she takes are absolutely beautiful. She has a very special skill at capturing peoples’ essence. She has a great eye so that the lighting is beautiful and flattering. She makes a simple location so creative and … Read more "kathy o." Christina is absolutely AMAZING!!! We LOVE our engagement photos!!! Love her play with colors and sense of aesthetics. It’s truly amazing how she puts together beautiful compositions even in the most random and unassuming places. We love it!! And the slideshow…..what a treat it is to have these memories to keep for years to come. … Read more "Angie P."
I could have written the review below. 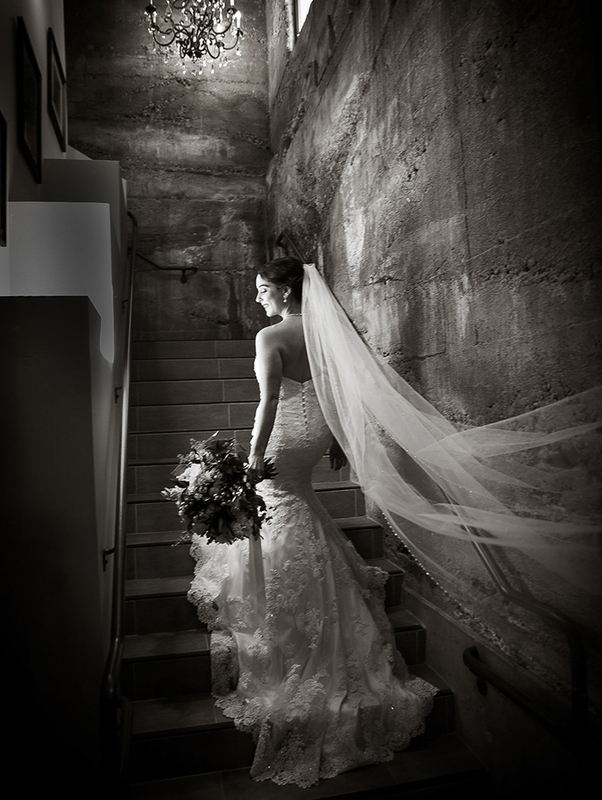 I came across Christina when we found our venue, Old St. Hillary’s Church in Tiburon. Her photos were linked and I just LOVED her work! She is an amazing photographer with a wonderful eye and a great creative sensibility. She captured the beauty of the day, the location … Read more "Laura C."
From the moment we decided we wanted Christina to photograph our wedding (which wasn’t a tough decision! ), she was wonderful. Easy to communicate with, incredibly friendly and warm, and clearly passionate about her work. To top it all off, she is extremely talented. We received our photos yesterday, and are absolutely in love with them. … Read more "Alaina F."
Christina is an incredibly talented photographer and so much fun to work with! We recently had our engagement session and the photos are amazing. While walking through SF, she was able to spot beautiful photo opportunities and backdrops. Christina was quick to get the photos back to us, which was great because we were so … Read more "Ashley F."
We did receive our engagement pictures today and we are speechless. In a positive way of course!!!!! Love the pictures, we went through them at 5am this morning 🙂 We are so happy to have Christina as our wedding photographer!! Love the slideshow by the way, such an awesome idea of you guys!! Thank you … Read more "Guenther M."
It’s hard to add anything about how wonderful Christina is that the other reviews haven’t already covered, but I will gush anyway! From start to finish, Christina is the best photographer you could ever dream of. We used her for our wedding in late July at Murrieta’s Well. On the day of, Christina’s personality really … Read more "Jessica S."
Christina Hernandez is amazing! I met her over a year ago at the Bridal Fair at the Ritz Carlton in SF. We hired her as our wedding photographer. And just a few short months after our wedding, I was pregnant with our first child and I knew that we just had to have Christina photograph … Read more "Suzanna M."
We heard about Christina from a friend of ours who wanted to book her but was getting married in Kansas. We loved her style of photos and saw her great reviews so we booked her for our engagement shoot and wedding. At the engagement shoot, her enthusiasm and energy made us both feel at ease. … Read more "Carol V."
I cannot speak highly enough about Christina and her work! When I initially came across Nightingale, I was immediately in love with the artistic & timeless photos presented on its website! And I know I just had to have Nightingale for my wedding! Christina shot my wedding last March at Wente in Northern California… and … Read more "Candice K."
Every time I look at my wedding photos and videos, I cry. I cry because I remember and feel how happy, exciting, and perfect my day was. I cry because I know when I see these photos/videos, those feelings will come back every single time. This is what my husband and I were truly hoping … Read more "Danica C."
I first learned about Christina and Richard when I attended my friends wedding in 2011 and instantly fell in love with her AMAZING pictures! I had to have Nightingale do my wedding. I didn’t need to meet with Christina to discuss anything, my mind was made up. That’s how much of an impact her photos … Read more "Mallory M."
Christina super professional, extremely nice, and produces FANTASTIC photos. She asks you all of the important day-of questions (who do you want in pictures/ specific shots/etc) before the wedding day which is huge. Most importantly, her work really is incredible and she is a joy to work with! Love, love love!!! ABSOLUTELY FABULOUS describes Christina. My husband and I really enjoy working with Christina. If you want a great photographer– she would be the one you should go with. She is creative, passionate and her heart really comes out through her pictures. You will spends days looking through your wedding and engagement pictures because they will … Read more "Ngoc N."
Christina is a AMAZING!! She is such a pleasure to work with – great personality, very easy going and so great with making all of us feel at ease. My kids were instantly comfortable with her and had the natural smiles going. She has an incredible eye and is pure magic! She took family photos … Read more "Stephanie M."
We found out about Nightingale Photography from a coworker that had her engagement photos done by Christina. Her artistic style was exactly what we were looking for. Christina was our photographer for both our engagement session and wedding day and we also hired Richard, her husband as our videographer for our wedding day. Together they … Read more "Bianca B." Nightingale Photography did our wedding photography and engagement pictures. We could not possibly be more happy with both! They have incredible artist abilities and we love their style of photography. Not only do we love their work, we have received tons of compliments on their photographs (not only from friends but also other photographers). 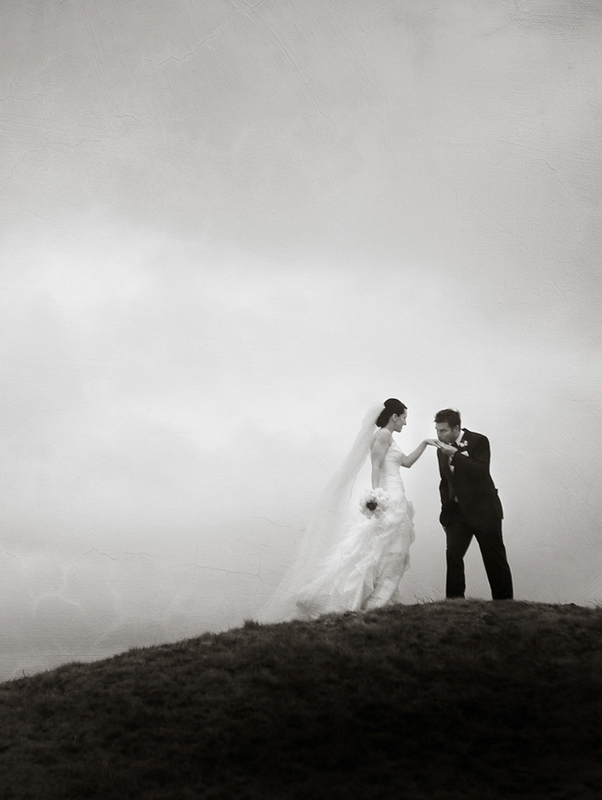 As … Read more "Lisa H."
We highly recommend Nightingale Photography! Christina’s manner of conducting her business is professional and courteous, her personality is so fun and easy and her work is gorgeous. I came across Christina’s work and was absolutely amazed! I don’t know the first thing about photography, but I simply loved the artistic edge to her images. Once … Read more "Sheila D."
Christina did a fantastic job with our 2/25/12 San Francisco wedding. She also did our engagement session and we loved those pics, too. When we first started looking for photographers I found Christina from a picture she took on our venue’s website of another wedding. From there I visited her website and was sold. I … Read more "Katie B." I agree with Bretton V. 5 Stars does not even come close to what she deserves! She is an amazing person to work with! When you meet her the connection just clicks. As far as her work it speaks for itself…EPIC! We were looking for a photojournalist to document our big day. I found her … Read more "Ron F."
Christina Hernandez is amazing! I met her over a year ago at the Bridal Fair at the Ritz Carlton in SF. Just from chatting with her for those 5 minutes I just knew she would be our photographer for our Aug 2011 wedding. I loved her work she had on display and couldn’t wait to … Read more "Suzanna M."
Christina, we love you!! We found Christina one week after the proposal at a Bridal Fair at the Ritz Carlton in SF. Her work and personality really drew us in. After we had our initial meeting, we honestly canceled all other photographer appointments and booked both our engagement session and wedding!! My husband claims he’s … Read more "Margaret T."
I have a background in design and my partner, a background in film, so we’re both quite particular when it comes to the visual arts. We both knew we wanted someone who could work in different styles, from film noir to bohemian to modern to action. After perusing hundreds of photographer/photography websites for several months, … Read more "Tu R."
I need about 10 more stars for Christina! She did a phenomenal job capturing every moment of our wedding! We were a little nervous b/c our wedding was an Iranian/American wedding and we were having an Iranian ceremony and wanted the right moments to be captured at the ceremony, also just of everything to do … Read more "nasim n."
We chose Nightingale Photography for our wedding in the Spring of 2010, and we’re so glad that we did! We wanted a true photojournalist to capture the emotions and excitement of the day, and Christina truly delivered. We were extremely picky and knew that our photographer would be one of, if not THE, most important … Read more "Marcia L."
If a picture is worth a thousand words, then I would need at least a thousand pictures to convey my joy for having found Christina to shoot my December, 2010 wedding photos. She gave me a collection of photos that I will treasure forever. Every time I look at them, I see and feel the … Read more "Jennifer W."
There is a reason that Christina gets 5 stars. Her work is awesome. We did a family shoot that we bought at a school auction. Most family shoots are kinda staged and staid, but Christina suggested an urban theme. I had no idea what to expect. We ended up on the train tracks in an … Read more "Steve B." I used Nightingale Photography for my wedding on 10/10/10. Christina is amazing. She brings a ton of photojournalism experience to her wedding shoots. She understands how to create a story in her images. My husband and I had a great time working with Christina during our engagement shoot. Christina is passionate about her work and … Read more "Julie K."
I don’t even know how to begin my review for Christina. When my fiance and I got engaged, I immediately started looking for a photographer because I knew that I would be extremely picking in choosing the right person to capture my big day. I found a gorgeous photo of a bride and groom dancing … Read more "megan s."
Christina Hernandez of Nightingale Photography is nothing short of perfect. Meeting her at a Starbucks in San Francisco assured us that we had found the perfect person to shoot our wedding. I found her website and blog after hours of searching online and was immediately drawn to the music, the images, and the overall feel … Read more "Dara M."
The minute we hired Christina to do our engagement pictures I knew we would be very impressed with our wedding pictures. From the initial meeting Christina’s enthusiasm for photography and talent for capturing the special moments sealed the deal. She is authentic, warm, and an extremely talented artist. She has a way of making you … Read more "Sandy V."
A very belated update to my original review. As a Christmas present for my in-laws, we booked Christina to come out to take pics of them with our two daughters. The resulting slide show and prints were such a hit, my parents and siblings wanted the same! Round 2: Christina + 2 grandparents + 5 … Read more "Mrs P."
Christina is AMAZING! I first met her when she photographed my brother’s engagement photos and wedding. Both albums were gorgeous! When I got engaged, I had the easiest decision choosing Christina. She is so personable, lively, organized, and efficient. Her prices are extremely reasonable, especially for the quality of her work. Now that we … Read more "EK G."
After years of consulting yelp for everything, I’m finally starting to give back! Christina inspired me to write my first review (ever) with our amazing engagement photos. I first chose Christinna as our wedding photographer because I felt her pictures best captured a balance of artistry and emotion. But after getting our own pictures back … Read more "Judy C."
We just had our engagement session this week and we already got our pictures back!!! we LOVE them. All the pictures were so fun and unique. I never thought i would ever have photos as amazing as the one’s we ended up with. I only wish she could be our wedding photographer … but alas … Read more "Susan L."
I was shopping around for a wedding photographer when I first heard about Christina through a colleague, who mentioned that one of her only regrets about her wedding was not having discovered Christina before she got married. I was immediately curious, given that I’m a journalist, and I tend to trust other journalists who typically … Read more "Riss P."
The minute Christina showed up at my son’s Bar Mitzvah I knew I could relax and enjoy the party. She captured every important moment of the event with amazing clarity and beauty. We still marvel at the photos. She has an amazing eye and an ability to blend in and make everyone completely comfortable and … Read more "Rachel B." I remember meeting Christina and falling in love with her work at the first bridal fair I went to in the beginning stages of my wedding planning. Her photographs have a unique style that fit perfectly with what my fiancé and I were looking for (we did not want the boring/typical formal/stiff shots). She seemed … Read more "Julianna M."
My husband and I were absolutely thrilled with our wedding photos taken by Christina Hernandez. From our first contact with Christina, to the wedding day and our follow-up thereafter, it was an absolute delight working with her. We had looked through nearly 150 wedding portfolios, and Christina’s talent instantly caught my eye and captured my … Read more "Linda W."
Living on the east coast, we had to rely on websites to select a photographer for our wedding in California. After meeting Christina (on the wedding day), we knew we had made the right choice. She is warm and friendly and energetic. And, the photos are beautiful. We love them! She really managed to capture … Read more "Rebecca K."
I always get a bit nervous when it comes to picture taking. I am extremely critical of myself and I am afraid of what the lens will capture. I talked with Christina a few months ago about setting a date for a family photo shoot and I said I will try to loose a … Read more "Simone J." After hours spent poring over scores of online photography portfolios in search of a wedding photographer, I came across Christina’s site. I was immediately struck by her artistry and gifted “photographer’s eye.” We were equally impressed by her warmth and friendliness when we met her in person; we hired her on the spot. I am … Read more "CandJ K."
Christina is a real artist! We hired her to photograph our wedding and could not have been more pleased with the lovely, creative, evocative images she made. She made us look amazing! I would hire her again in an instant. We hired Chrisina to take photos at our May wedding. She takes amazing shots, very friendly and always quick to get back to me with questions I have asked. The only down fall was the wedding album doesn’t come in the package and we couldn’t afford to buy it seperately after spending so much on … Read more "Kristin M."
Christina Hernandez is by far the most talented professional I have dealt with. When I got engaged, I spent hours online not looking at package pricing or reputations of photographers in the bay area, but merely their work. I was immediately taken by her different styles and brilliant images of children and weddings. They stood … Read more "lindsay p."
This was not the first time I’ve posed for business portraits, but it’s never been as easy, and I’ve never loved the end results (meaning I’d really like to keep & use them personally, not just for work!) as much as those Christina did. Christina took solo business portraits of me during a workshop (I … Read more "yumiko y." Christina will hereby be my first choice for any photography work I’ll ever need in the future. We met at a work-related conference, where she took portraits for those of us in attendance. I detest getting my picture taken, and was happily shocked and taken aback when I saw the results. The portraits were beautiful … Read more "Ann V."
Christina is awsome! The moment my husband (now!) and I met her we knew she was our wedding photographer. Our friends and family loved our engagement pictures! My husband was especially happy that we could have his classic continental car included in the picture. The wedding photos looked AMAZING! We (bridal party, groom and I) … Read more "Ann L."
We were fortunate enough to meet Christina at a special session for Red Wagon customers in Lafayette. She spent about 15 minutes with my 3 year old daughter taking the sweetest candid shots that really captured her personality. I only regret not bringing my older daughter as well. Christina is friendly and outgoing and did … Read more "Mrs P"